LED lights for homes have become very popular over the past few years, especially for Christmas lights, however recently they are finding their way into homes for lighting rooms and offices. We began with the traditional incandescent lights which consume electricity at a significant rate, to fluorescent lights which were a huge improvement and now we are moving to LED lights which save even more electricity. So how much electricity do you save when install a set of LED lights for your home? An example using Christmas lights will serve to demonstrate just how much less these lights cost to operate. LED light consumption of electricity is surprisingly low. For example, a string of 100 of the mid-size LED Christmas lights uses only 8 watts of electricity, which is less than even a very dim compact fluorescent bulb uses. The old outdoor incandescent Christmas bulbs are 5 or 7 watts per bulb and a string of 50 incandescent Christmas lights would use around 250 to 350 watts. A string of 200 incandescent bulbs would use about 1,000 to 1,400 watts compared to 16 watts for two strings of 100 LED Christmas lights. If you are planning to purchase lights for the Christmas season, now is the time to make your purchase of LED lights. They can reduce your consumption of electricity while at the same time adding lots of color to your home. If you use your incandescent lights for 6 hours a day, for 1 month a year over the Christmas season (180 hours in total), you are using 180 kilowatt hours (kWh) for these bulbs. The LED Christmas light consumption for the same number of bulbs for this time period, is a mere 8 watts (per 100 lights) x 2 strings of lights x 180 hours, or 2.8 kilowatt hours. Electrical costs varies a great deal across the US and Canada. A figure of 10-12 cents per kWh is not unusual , however in the evening with time of day charging it can go as low as 7 cents per kilowatt hour. That set of 200 incandescent bulbs will cost you $18 to $30 a year to operate for one month of the year. For the LED Christmas light consumption you’d be looking at only $0.28 to $.35 for the same number of bulbs. Christmas lights are not the only lights that are taking advantage of the LED savings. New products are being introduced all of the time for inside your home for everyday use. We recently just purchased a desk LED lamp for a mere $10 that will not only save us money in terms of electricity usage, the LED’s will last for many years. The only negative with this particular lamp is that once the LED fails, we have to throw the entire lamp away. There is no replacement bulb in this example. 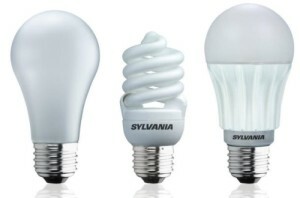 Consumers are sometimes put off by the purchase cost of fluorescent bulbs or LED bulbs. Typically they will cost much more than incandescent bulbs, however the money you save in terms of operating cost will quickly pay for the original investment in the LED bulbs. An in addition you are helping the environment by reducing our carbon foot print as well. When we consume less electricity, we are burning less coal and oil that is needed to generate the electricity we use. We used an example of Christmas lights to illustrate how much you can save when you convert from incandescent lights to LED lights. Using the same math, you can calculate the savings for home indoor lights as well. Most packaging on these lights also indicates how much electricity you are going to save when you use these lights. However one suggestion when you read the literature is that you will need to make adjustments to your assumptions. Base the changes on your own usage, the electrical rates in your area and the cost to purchase the bulb as well. Once you do this you will quickly see just how much you can save on your electrical bill every year compared to using the old style incandescent bulbs. 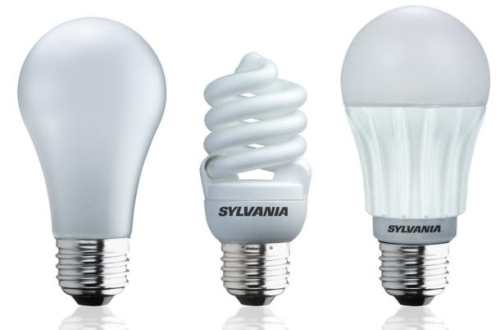 If you have already converted to fluorescent bulbs, you are already saving on electricity. The payback will not be as quick when you convert from fluorescent to LED, however there still is a significant savings.